Introducing the Leica Noctilux-M 75mm f/1.25 ASPH. The new Noctilux-M 75mm f/1.25 ASPH. 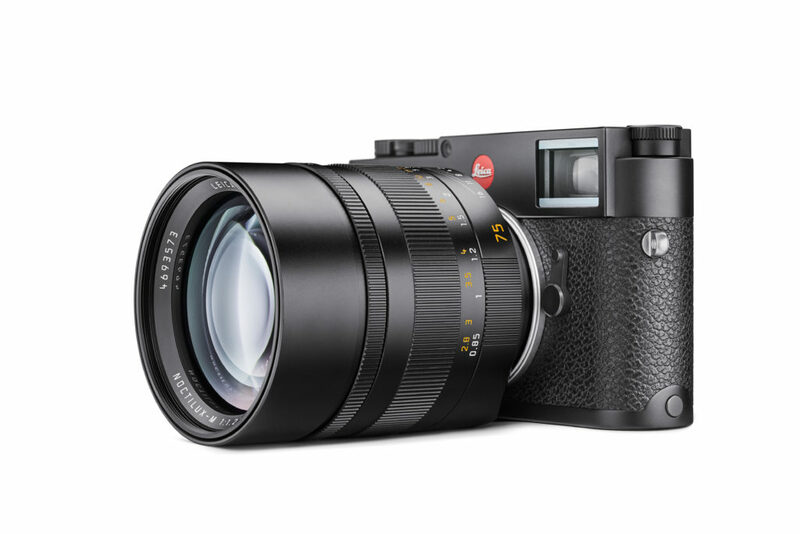 enhances the high-speed lens portfolio of the Leica M-System with a design that redefines imaging quality. We were able to speak with Peter Karbe, Head of Optics Development, about this outstanding addition. Mr. Karbe, what prompted the decision to develop a further Noctilux-M? The existing Noctilux-M 50mm f/0.95 ASPH. is a distinguished example of a high-performance optical design in our M lens product line. We wanted to further expand this level of performance, and make it available for a broader range of applications. Why did this take the form of a 75mm lens? As we know from the history of optical engineering, the design of a 50mm lens is very well-suited to serve as a basis for a moderate tele lens. Examples include the Summilux-M 50 mm f/1.4 and Summilux-M 75 mm f/1.4 made by Leitz Canada, as well as the current Summilux-M 50mm f/1.4 ASPH. and the consequently developed APO-Summicron-M 75 mm f/2 ASPH. The fact that the diameter of the entrance pupil – in other words the ratio between focal length and aperture – should not exceed 60mm in order to facilitate the operation of the rangefinder, consequently led to the new Noctilux’s maximum aperture of f/1.25 along with an E67 filter thread. This results in a minimal depth of field which is even shallower than that of the 50mm Noctilux-M at an equivalent distance – making manual focusing all the more challenging. Who is this lens predominantly aimed at? Our predominant purpose in designing fast lenses is to give photographers the ability to achieve distinctive compositional effects with the aid of a shallow depth of field. The 75mm focal length makes it possible to fill out the frame when shooting from a sufficient distance, while emphasizing parts of the image through a conscious application of the depth of field, depending on the subject and creative intention. This is what the aperture is for – its purpose should not, by contrast, be to control the exposure. Also, there is no need to stop down in order to increase the imaging quality: our lenses are essentially designed to offer maximum performance at fully open aperture. The Noctilux-M 75mm f/1.25 ASPH. is therefore aimed at all ambitious Leica photographers with the expertise to utilize this creative potential for their visual expression, for example also in portrait photography, which represents the classic domain of this focal length. This target group also very much includes owners of the Leica SL. For one, the 75mm Noctilux and the SL are a very harmonious combination in terms of ergonomics. And secondly, the particularly brilliant viewfinder of the SL and its Focus Peaking feature make it much easier to position the focal plane within the image. For that same reason, digital M photographers are advised to take advantage of the Visoflex electronic viewfinder. It goes without saying that the high-precision M rangefinder mechanism – particularly that of the M10 with its increased metering basis – is always the first choice. After all, the Noctilux is a native M lens. However, the electronic viewfinder has the added advantage of displaying the overall distribution of in and out-of-focus areas, allowing the photographer to assess these vital imaging characteristics in advance. What is very noticeable in the images is the remarkable quality of the detail rendition, which no longer significantly differs from results achieved at, say, aperture f/4. This is confirmed when reading the MTF chart detailing the performance at fully open aperture. No lens with comparable specification has ever achieved this. What sets the design of the 75mm Noctilux apart? With this lens we pulled out all the stops. The application of two aspheres and the use of high refractive glass types enabled us to virtually eliminate monochromatic aberrations. Color correction was achieved by integrating glasses with high anomalous partial dispersion and low chromatic dispersion. These are even more effective in the new 75mm lens than they are in the Noctilux-M 50mm f/0.95 ASPH., because while the construction of both lenses is equally elaborate, with the Noctilux-M 75mm f/1.25 ASPH. we were able to benefit from the slightly lower speed and narrower angle of view, enabling us to achieve a significantly enhanced imaging performance. The introduction of a Floating Element as part of a complex focusing mechanism also played a vital role in this context, ensuring a high level of performance across the entire focusing range. How exactly does this work, and what were the particular challenges of developing the focusing mechanism? Wide-aperture lenses are prone to a reduction in imaging performance at close range. As with several other M lenses, a compensating lens group was used in order to counteract this tendency: the Floating Element of the 75mm Noctilux consists of the three rear lens elements which, when focusing from infinity to close range, move slower than the other elements. The resulting change in distance between the main group and the Floating Element counteracts the decline in imaging performance, so that excellent recording quality can be achieved even at close range. When developing the high-precision focusing mechanism, we had to incorporate this additional movement into the compact construction space of the lens. This, in turn, led to extremely narrow tolerances, which had to comply precisely with both the focusing and ergonomic characteristics of the lens. A minimal depth of field inevitably means that out-of-focus areas become an essential component of the composition. The bokeh of the Noctilux-M 75mm f/1.25 ASPH. is extraordinarily harmonious, both in front and behind the focal plane. To what extent can the bokeh be said to be an intentional consequence of the correction philosophy that is behind the development of this lens? Our correction philosophy reflects a long-standing tradition, which is why our lenses, and especially the M lenses, are known for the particular quality of their bokeh. However, the bokeh is not an inherent aspect of the optical correction procedure, but rather a welcome by-product of our design approach. Firstly, addressing spherical aberrations, coma and astigmatic differences is one of the primary concerns in optical engineering, whereby we place great emphasis on pursuing a balanced and smooth correction of aberrations. Secondly, we take specific measures during the construction process in order to achieve this goal. Centering errors, which would subsequently lead to central coma, are almost precluded from our lenses due to special assembly processes. This commitment to supreme production quality is rooted in the microscope-development history of Leitz and Leica. In the same vein, the aspherical surfaces used in our lenses have always undergone a degree of refinement in the polishing process that exceeds the requirements for a good image quality (as measured by the MTF) – ensuring an especially smooth surface to avoid the possibility of textured surfaces becoming visible in the bokeh. It seems that the production process is in fact just as important as the optical design itself. What is it that distinguishes Leica in this regard? Over the past twenty years, the manufacturing quality of lens elements has greatly improved worldwide – not least owing to the new CNC-controlled grinding and polishing machines. What particularly distinguishes Leica Camera AG is the company’s know-how when it comes to applying these processes to glass types with an especially high degree of anomalous partial dispersion and those with a high refractive index. These are not standard glass types, but rather formulas which require special treatment – which only very few optics manufacturers have the expertise to carry out. Added to this is the fact that Leica have, over the course of decades, developed the production of aspheres into a core competence – and this is a key technology without which the development and construction of lenses such as the Noctilux-M 75mm f/1.25 ASPH. would not even be possible. To know more about the Leica Noctilux-M 75mm f/1.25 ASPH., please visit the official website. Sounds exciting. Now it would be good to have a Monochrome 246 version of the new Visoflex electronic viewfinder for the M10, which I love. The 240 type Visoflex is OK but since I have the new one, I miss it for the 246. I have examined samples made with 75/1.2 Noctilux on Leica’s website. They display worst ever image quality I have seen from a Leica lens. A cat-eye light bokeh rendering? Milky, washed out, unsaturated colour? And almost nil acutance? These are persistent in all sample images. Something went wrong in the optical design of that lens, and 1kg of glass may be the culprit? Lens diagram confirmed my fears – 75mm Noctilux is choke full of glass, which in such a design and at such focal length acts not as a light receptor, but as a resistor. Similar design mistake was done by Nikon, in their Chinese-made 105/1.4 Nikkor lens. Samples from both Nikkor 105/1.4, and Noctilux 75/1.2 lenses, resemble tremendously, share same cat-eye light bokeh, and bleached out (milky) unsaturated look, that require lots of post processing to make look acceptable. The results in both are disastrous. Similar mistake did Zeiss with their Otus lens, also choke full of glass, a lens in which the micro-contrast and colour saturation are virtually obliterated. Some things should never be attempted: following ill- trends of overcorrected, super-fast aperture lenses is not healthy. Unfortunately, Leica have fallen victim to it. Whilst the Summilux 50/1.4 was one of best modern lenses on any camera, output so rich, magical and life-like, Noctilux 75/1.2 is the opposite of it. Please send my condolences to Mr Karbe. Just because Angry Photographer and Yannick Khong is screaming at the top of their lungs “less glass elements!” “more micro contrast!” “Voigtlander 58 is the best!” doesn’t mean that they are right. It just means that they are the loudest. I have read Yannick’s comparison reviews and he hasn’t been able to show any difference in “micro contrast” in his comparison articles. And if you point that out to him in his comments section he will promptly delete your comment. Angry Photographer? Do I even have to bother to discredit him? He is doing a great job himself. Angry Photographer is opposed to lenses like the AF-S 58mm f/1.4G and AF-S 85mm f/1.4G and AF-S 105mm f/1.4E because he is stuck in the past. He wants manual Zeiss lenses or nothing. But has he provided a comparison article to explain how Zeiss is superior? No. You should be careful tooting these reviewer’s conclusions. Please at least wait for the real experts to do a detailed, rational, multi-faceted comparison reviews for the new Noctilux 75/1.25 before jumping on the Comment Section to decry. Long fast telephoto lenses ALWAYS have “cat’s eye bokeh” near the corners. It’s literally unavoidable given how optics work. It has nothing to do with how many lens elements are used. Microcontrast is generally better on newer, more highly corrected lenses. MTFs and other measurements show higher resolution and contrast, as in the Zeiss 35mm/1.4 Distagon ZM or Leica 35mm/1.4 Summilux M ASPH lenses compared to the soft, low contrast, low resolution, coma-rich 35mm/1.4 Summilux M Walter Mandler designed in 1958.
my wishes. They are very helpful. christmas. Have a nice start in 2018. Please show us some examples of lenses which you have designed. Congratulations with another great lens! It would be my first choice if I ever could afford it! Outstanding, this looks like a perfect fit with the M10. what a wonderful new lens. Sounds great. I am looking forward to your answer as soon as possible. The new Leica Noctilux-M 75mm f/1.25 ASPH. 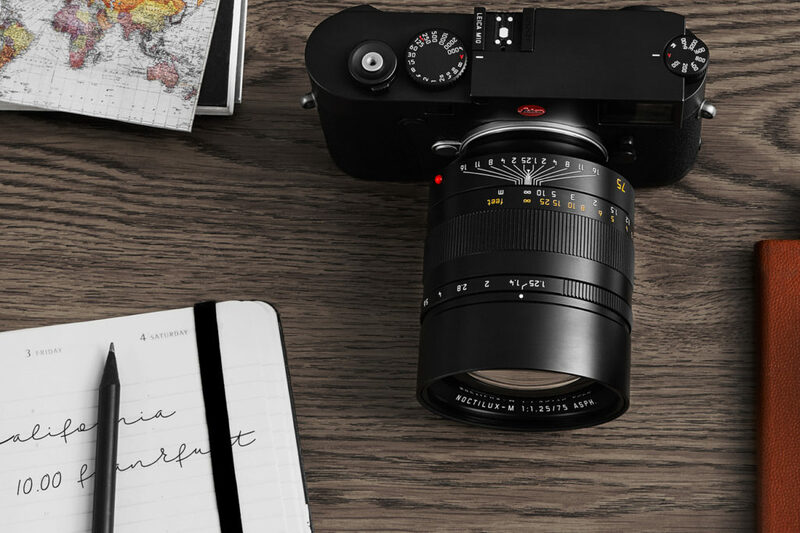 is a lens for the Leica M-System which is without auto-focus abilities in general. You can of course use this lens on the Leica SL with an additional M-Adapter but you will have to focus manually. I am so sad, that the brandnew Noctilux will not have an autofokus. What can you recommend for the SL? Thank you for your further information. I think it would be best to contact our local Leica Store Team her in Wetzlar. Their number is 06441 2080999. They will be happy to help and advise which options are existing for your use case.